Our popular selection of disposable gloves are suitable for a variety of uses and industries. We stock high quality, comfortable, powder free gloves at great prices with even better wholesale discounts available for quantity orders. We provide a range of multipurpose powder free disposable gloves available in both latex and vinyl material. 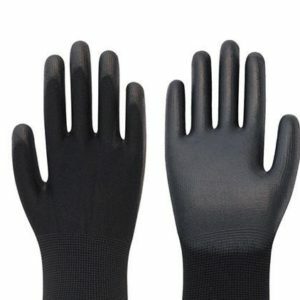 Both types of gloves are comfortable to use, strong and protect the skin from contamination, irritants and chemicals. Do you require disposable gloves in bulk? We can offer wholesale discounts on a range of our hygiene products bought in large quantity. We deliver Nationwide from our Birmingham based warehouse. Please call us on 0121 558 6600 to set up your bespoke pricing today or to discuss your requirement in detail.